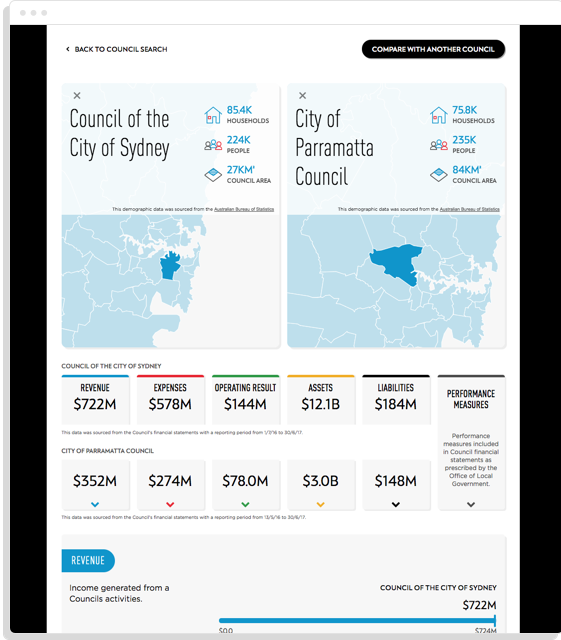 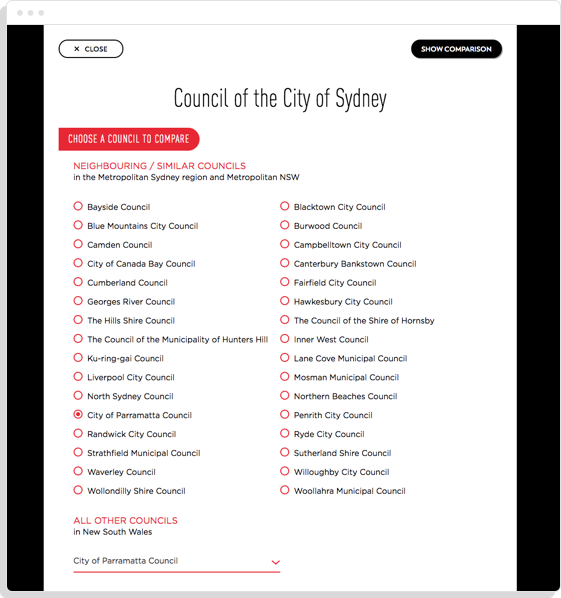 Visually browse and compare how councils are doing, based on financials reported by the Audit Office of NSW. 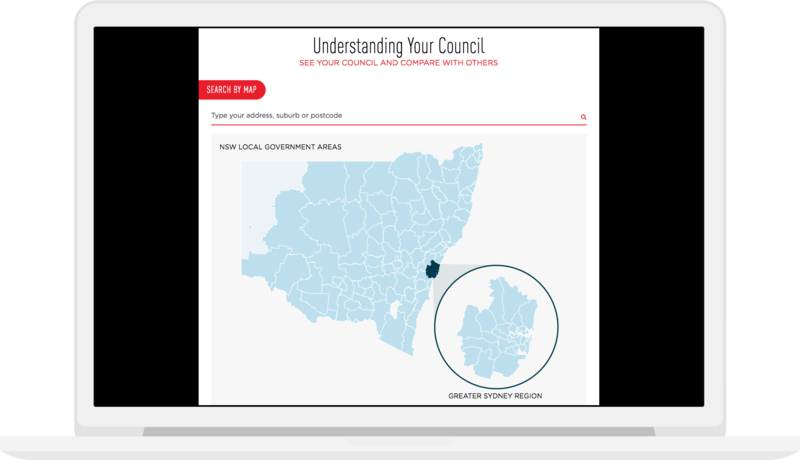 Working with the Audit Office of NSW, we started with a pre-engagement workshop to understand the problem of how to report financials in both interesting and factual ways for councils and the community. 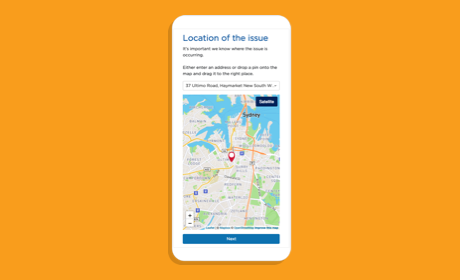 A solution was developed, through a process of creating wireframes, designs, and finally implementation. 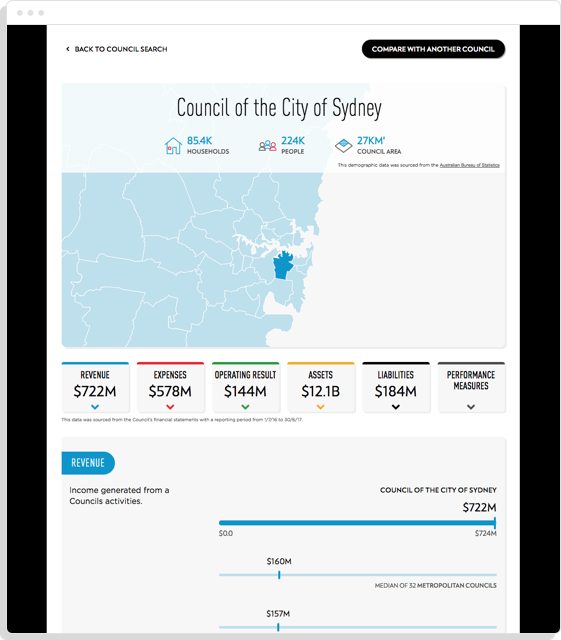 Our main challenge in this project was creating a data trail to ensure that the audited data we received remained unchanged through the data processing, back-end and front-end development and final testing stages.